Fl. 112 mm wide; perianth segments broadly ovate, blunt or a little truncate, only very slightly mucronate, spreading, overlapping half; the inner segments slightly inflexed; corona funnel-shaped, short, ribbed, deep pink, with shades of violet, mouth widely expanded, lightly frilled. 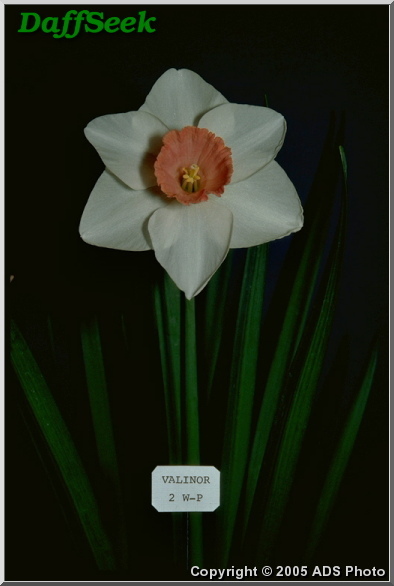 Resembles a larger-flowered ‘Violetta’ with whiter and smoother perianth segments.